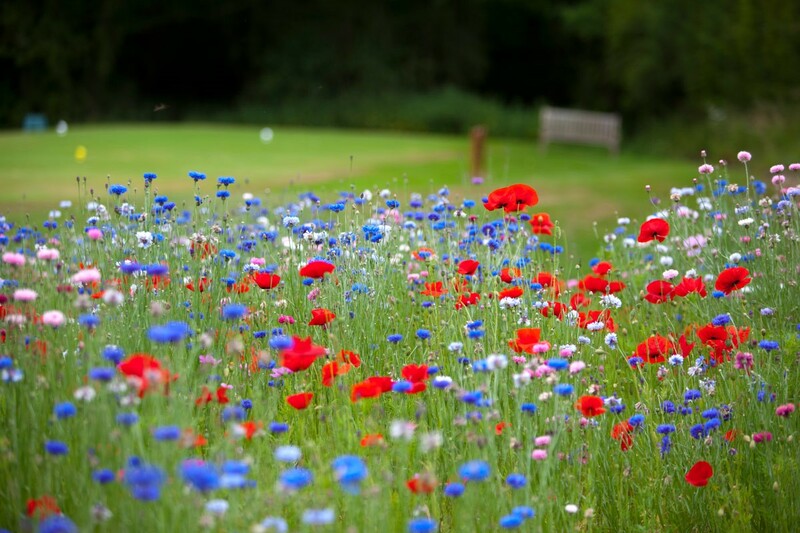 At the beginning of 2014 the Green Staff, following on from the successful wild flower planting initiative launched by the Ladies Section at Lamberhurst Golf Club in 2012, allocated an area near the Club’s half way hut to create a superb wild flower area. 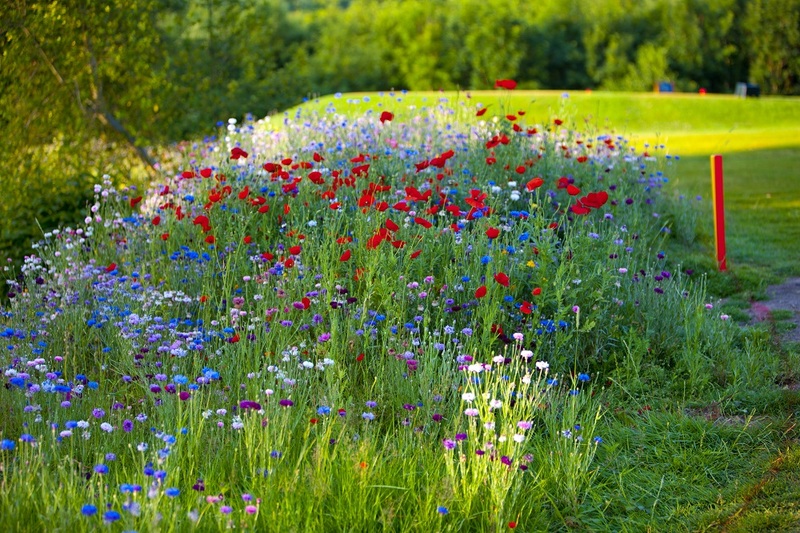 The area is awash with blooms from flowers such as Cornflowers, Zinnia, Cosmos, Marigolds as well as Poppies which were hand sown to commemorate the centenary of WW1 . 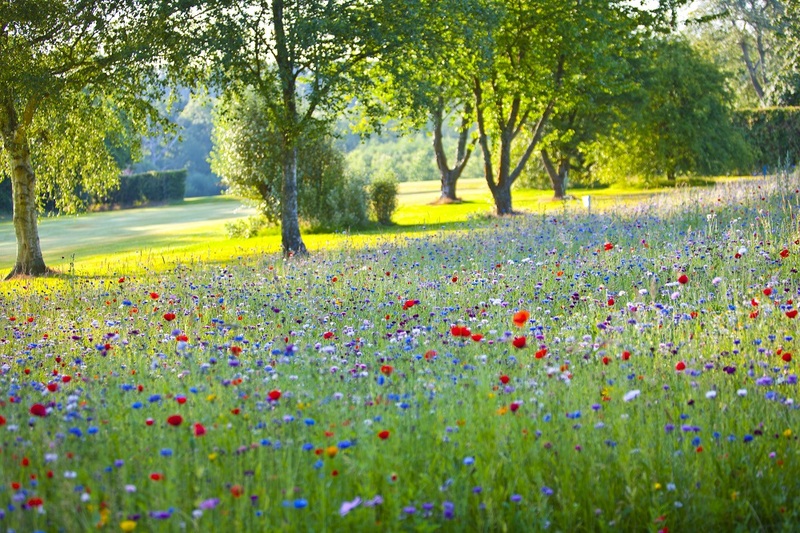 By carefully clearing and rotivating an area of approximately 1000sq meters near the course’s halfway hut, it has certainly paid dividends by producing the most spectacular display of wild flowers which first appeared in June and will continue its rich display until September. 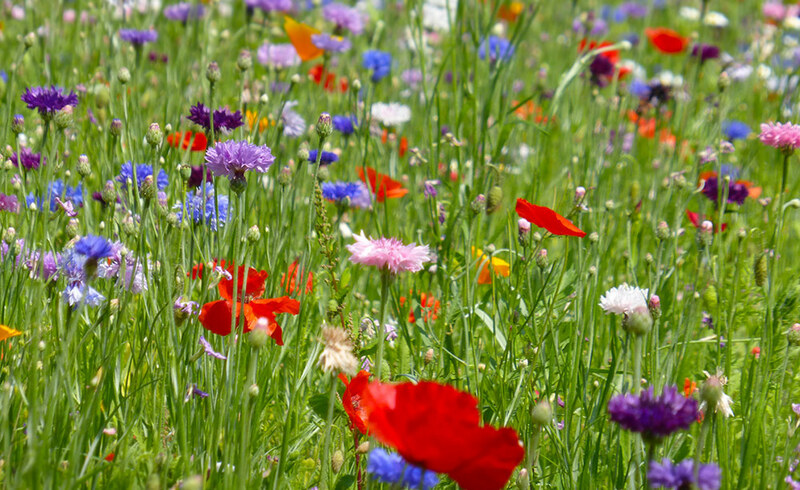 As part of the ‘wildflower package’, an insect box came with the seed mix and (much to the amazement of the Bar Steward), a box full of buzzing beauties was delivered to the Clubhouse. 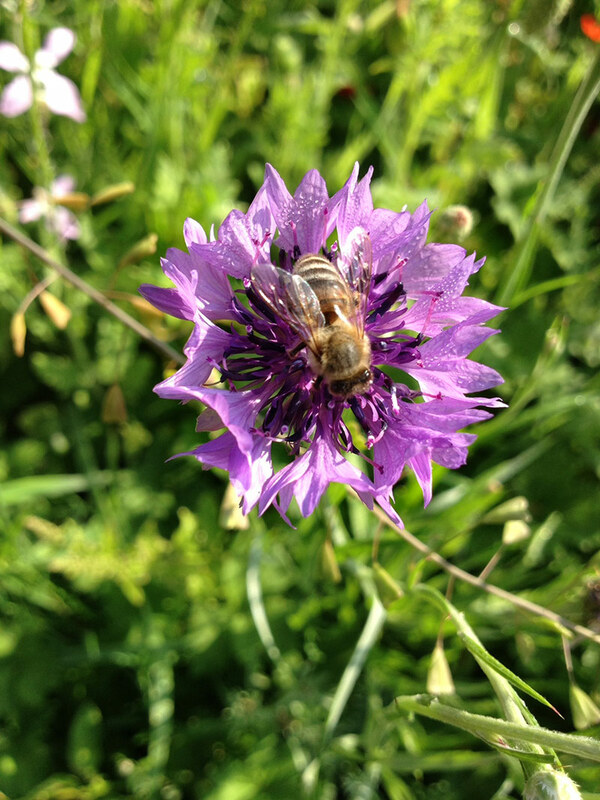 A plastic hive was positioned in a safe and quiet place away from normal golf play and our own bees were left to forage and set up home. 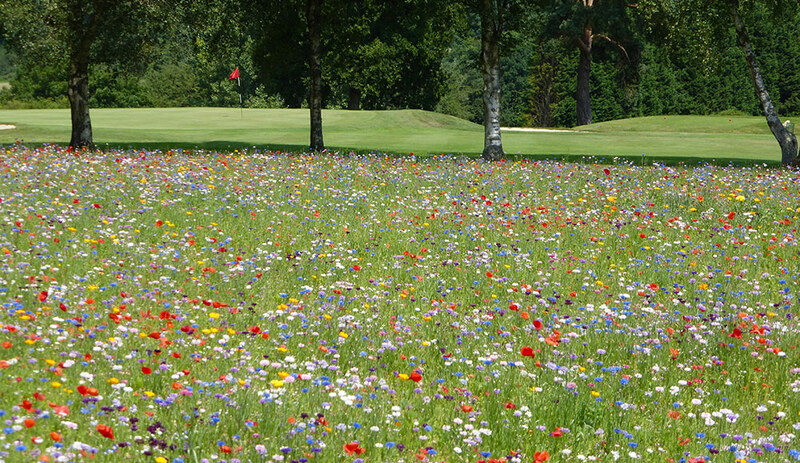 Lamberhurst wants to encourage biodiversity on its course by providing good cover and a source of insects and wildlife as well as providing a beautiful space for its Members and visiting golfers to enjoy. The plan will be to continue sowing these areas over the next 2 to 3 years to build up a natural ‘seedbank’.